Our pets live the lifestyle of their human companions and, through the advancements in healthcare and nutrition, their life expectancy is increasing. As a consequence, many pets are developing health problems that humans often encounter in their later years of life. 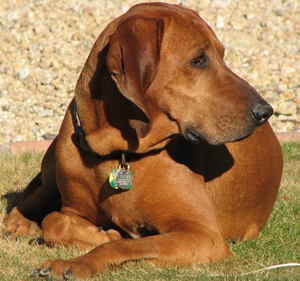 Many dogs and cats suffer from debilitating heart failure, diabetes or respiratory or urological problems as they age. Dextronix offers a variety of technology-based solutions that have their foundation in human medicine and will assist veterinarians with selecting the best technology for each case. Together, with the latest advanced technologies derived from human medicine, we can improve the quality of your pet’s life. Below you will find more information about our products and the condition your pet may suffer from. We work with many veterinary specialists and they may tell you that they want to or already use our products. If your pet has received one of our devices, feel free to give us a feedback. We are here to help but also like to hear from clients about their first hand experience. We provide self-expandable Nitinol stents at affordable prices for the use in dogs and cats. These stents are exclusively made for use in small animals but conform to the rigorous standards found in human medicine. Tracheal Nitinol stents for dogs and Nitinol/ Polyurethane stents for the treatment of urethral/ureteral obstructions in dogs and cats are currently available. All of our stents are designed and tested to fit the animal anatomy and manufactured in France and Germany by specialized medical device manufacturers. A stent is a small plastic tube or a metal wire mesh that is deployed to relieve a constriction or blockage in a flow passage. Stents are used to treat a wide variety of conditions, providing relief from severe pain and improving the quality of life of your pet. For example, a tracheal stent will prevent a compromised trachea (windpipe) from collapsing while the dog is at rest. An urethral stent will help to drain the bladder of a cat with, for instance, a malignant urethral obstruction. No matter of life- saving or palliative therapy, a stent can provide a significant pain relief to your pet. Our stents are used by the best veterinary specialists and experts worldwide. They trust our product quality and need our devices to perform reliably. We did neither invent nor were we the first to implant pacemakers into dogs and sometimes cats and horses. But Dextronix is the first and so far the only company to offer dedicated pacemaker products to the veterinary cardiology community. We make the latest therapeutic technology in human medicine available for pets in our pacemakers and leads. The Dextronix implantable pulse generators are fully automatic, rate responsive systems that meet the rigorous quality assurance standards of human medical devices but are size-wise small enough to be implanted in even small dogs. When will my dog need a pacemaker? An implantable cardiac pacemaker is needed when your dog has been diagnosed with heart failure and your veterinary cardiologist recommends therapy using an implantable pacemaker. The pacemaker system consists of an implantable pulse generator and a pacing lead. The pulse generator delivers the electrical impulse through an electrode in the pacing lead to stimulate the heart. In the single-chamber pacing mode only the ventricle of the heart is paced. In dual-chamber pacing mode both the ventricle and the atrium are being paced. Both single and dual-chamber pacemaker systems are available from Dextronix. The Dextronix pulse generator systems were originally designed for human use and have been implanted in humans many thousand times. These systems are of premium quality and are extremely reliable and now they are available for use in veterinary medicine. Dextronix products are all brand new, fitted with the latest hardware and software technology and will last many years. During surgery the pulse generator is placed and sutured into a small pocket under the muscles of the neck. There it is connected with the lead electrode that passes through one of the jugular veins to the right atrium and into the apex of the right ventricle (trans-venous pacing). After implantation, the pacemaker delivers a short pulse to depolarize the heart when needed. Dextronix rate responsive pulse generators automatically adjust to the activity level of your pet (e.g. from running to sleeping). The cardiologist can adjust the pre-programmed settings with the help of a programmer if necessary. In most cases you will instantly feel and see a big difference in your pet. It will be back to life as normal and will essentially behave like the pet you used to know before the illness began. There will be a small surgical site in the neck covered with a bandage and your veterinarian will tell you to avoid positioning your pet on the back for a few weeks. Because of the pacemaker placement in the neck and the placement of the lead from the neck to the heart it is very important to use a harness instead of conventional neck leads and choke-chain collars, which could harm or even dislodge the pacing lead placement in your pet. Why choosing a pacemaker from Dextronix? Implanting pacemakers in pets is common practice since many years. In the past, veterinary cardiologists and surgeons received expired pulse generators donated by the original device manufacturers from time to time. Another source still in (rare) practice are explanted, used pulse generators of questionable condition. (The FDA strongly advises against the latter practice, see link to FDA website). Before Dextronix started in 2010 nobody actually made or offered pacemakers specifically for veterinary use. Our products are all new, unused, freshly fabricated and sterile. They comprise the latest technology and features as available in human medicine and still come at a very low and affordable price.